I have such a conflicted relationship with post-Christmas Christmas decorations. 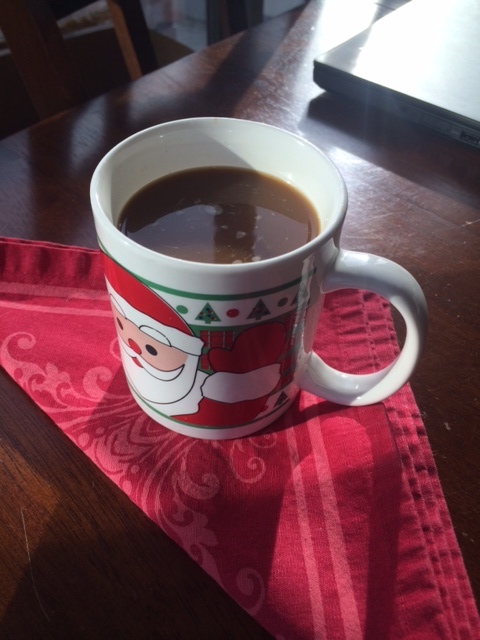 I love drinking out of my Santa mug, but also feel a bit down that the holidays are over. However, it does give me an excuse to decorate in a more general “winter” theme and even bring out our Valentine’s Day decor in a few weeks. I love Valentine’s Day. It’s hard to believe this is my first Favorite Finds Friday of 2015. It’s always one of the posts I most look forward to writing. If you’re new to The Magic Tree, Favorite Finds is my last post of the week where I compile all the articles, pins, recipes, videos, or things that have been making me smile over the past seven days. Feel free to link away in the comments section. I would love to know your favorite finds! 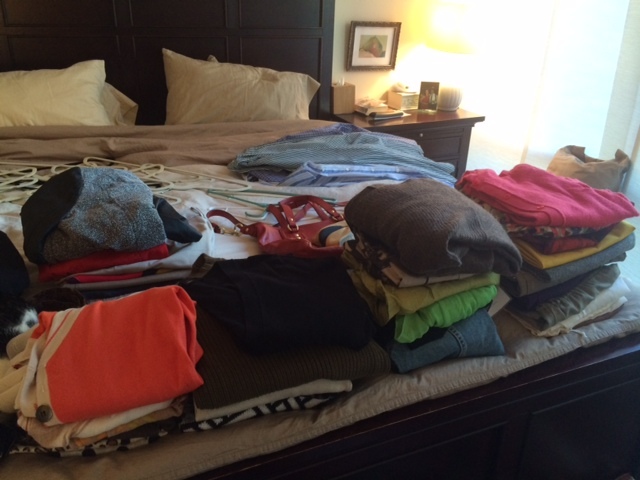 Purging my closet gives me a natural high. I love getting rid of unnecessary clutter. This pantry. 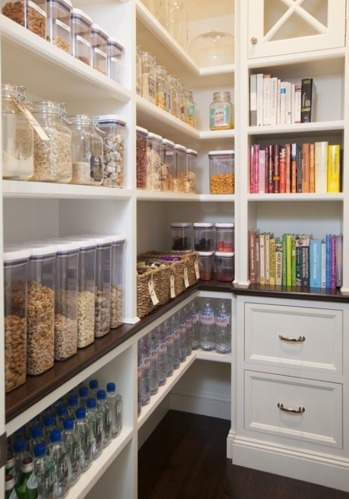 Forget a walk-in closet, you’ll know I’ve made it in life when I have a pantry that looks like this <sighs>. 8 secrets of success from early retirees. 5 facts about life I’ve realized this year. Amen to #3. Best free workout videos on YouTube. I need to take advantage of these more, especially if I can take a virtual class from my girl crush Tara Stiles. Photographic proof that soda seriously messes with your body. Jay, the key witness from Serial, speaks out. I won’t read this yet since I haven’t listened to all the podcasts! If you can’t stand on one leg for 20 seconds, here’s what it could say about your brain. 10 easy ways to save $1k this year (without feeling poor). Proud to say I already do about half of these! Determine your character strengths through the VIA Institute on Character. The 10 books you should’ve read in 2014. I’ve seen Redeployment pop up on other lists like this. I can’t wait to read it, among all others on this list! 10 things that cloak incompetent therapists. I think it’s pretty rare that you’d run into practitioners like this, but it’s important to be aware nonetheless. What’s on your agenda for the weekend? We’re headed to a friend’s house later today to see their new baby girl, then out to dinner with my girlfriend and her husband. I also have a lot of cleaning and organizing on my list for Saturday and Sunday, and creating a study plan for my social work license (eeek!). I love purging my closet too! I did a big one at the beginning of the summer and plan on doing another one this weekend! It feels so good to declutter! There’s no better feeling…I have a bit of an obsession. Have a great weekend! I LOVE Valentine’s day decor!! It might not even be a real holiday, but it might be the best excuse to get lost in Target. It’s one of favorite holidays and THE best reason to get lost in Target. Welcome to The Magic Tree! I'm Lizzie, a 26-year old social work grad student, bargain shopper, avid baker and proud cat lady residing in downtown Chicago. Follow along on my quest for balanced living through (mis)adventures in the kitchen, regular workouts and everything in between. For more info, check out my About section.